Tristram Hunt, director of London’s Victoria and Albert Museum, revealed dramatic plans today for the museum’s expansion into the Queen Elizabeth Olympic Park in east London. The development comprises the construction of a brand-new five-floor museum and the relocation of the V&A’s huge research and storage facility to the nearby Here East building – once part of the 2012 Olympic Games complex and now a thriving tech and creative campus. A somewhat over-excited Hunt declared the new development a “cultural saucepan”, which rather undersold such a colossal logistical and architectural undertaking. 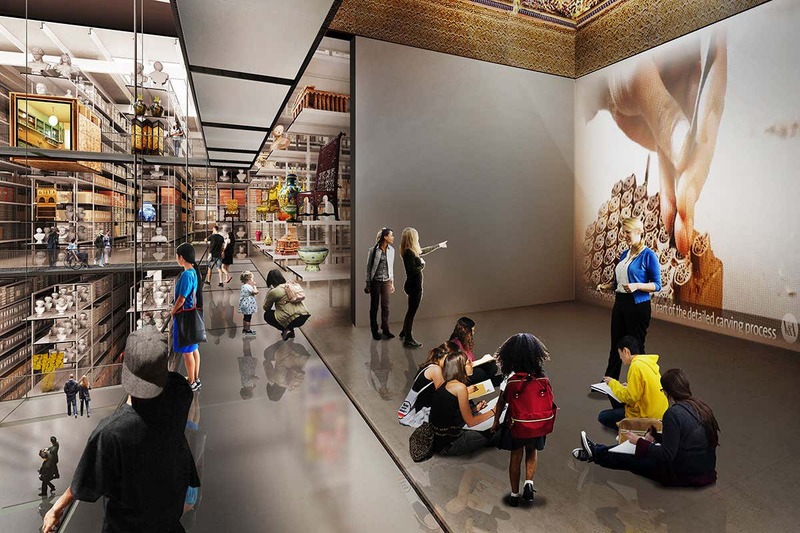 Once the building work is complete, around 2021, the real fun begins, as the US’s Smithsonian Institution joins forces with the V&A to provide around a quarter of the new site’s cultural attractions. 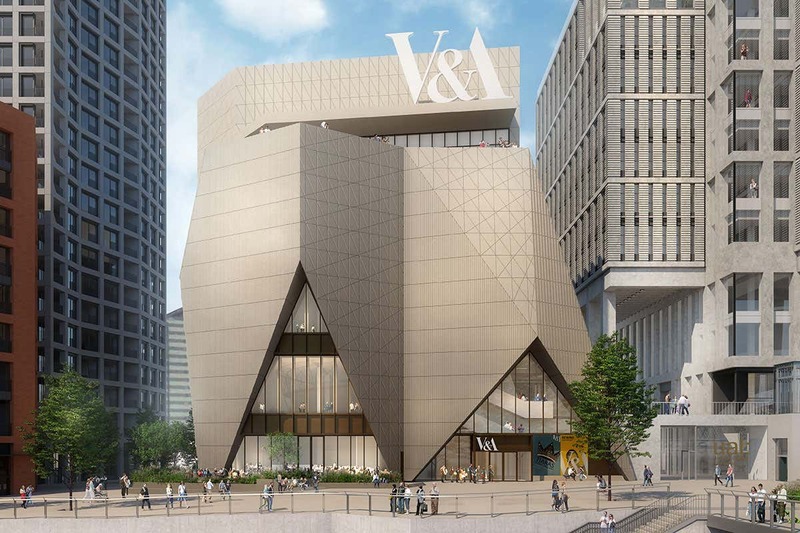 It’s a significant departure for the sprawling US behemoth (which boasts 19 museums, 21 libraries, 9 research centres and a zoo), as V&A East will be its first overseas outpost. Architects O’Donnell & Tuomey are responsible for designing the new museum building, which succeeds in being at once gobsmackingly radical and endearingly dumpy. Wonderfully, it’s inspired by the external shape and internal structures of Balenciaga frocks. For our purposes, however, the V&A’s storage and research facility provides the main headline. Architects Diller, Scofidio & Renfro plan to core out part of the handsome but essentially anonymous-looking Here East building, creating a kind of panopticon from which the public can view the museum’s vast and closely packed holdings. Even the floor of the main gallery is clear, allowing for some really quite vertiginous inspection of the ground floor’s larger treasures. Smaller galleries extend through the surrounding collection, affording additional perspectives, while technology is being developed so that visitors can digitally unpack every crate, and even deploy robot cameras to explore some less accessible corners. Elizabeth Diller called her firm’s design “an immersive cabinet of curiosities”. She has form in this area, of course, having just completed The Shed, a huge multi-arts venue due to open in New York next year. Hunt and Skorton are right, of course: collaborations between countries and across disciplines are needful. The V&A’s news today proves they can also be breathtaking, expensive, exceedingly ambitious, and very pretty indeed.